Young Charnchai Muay Thai Thai fighters Mahamongkol and Denmuangpai triumphed in their debut fights at Channel 7 Stadium, Bangkok on Sunday 20th November 2016. 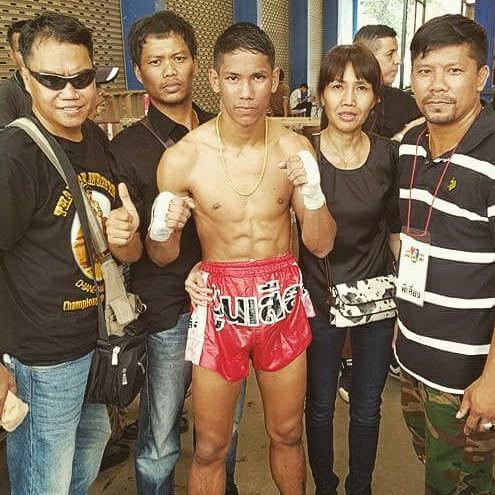 Our head trainer Bee’s son, Mahamongkol was originally scheduled to fight on Channel 7 back in October but the show was cancelled along with all other muay thai promotions and entertainment when the death of King Bhumibol Adulyadej was announced to the Nation on 13th October 2016. 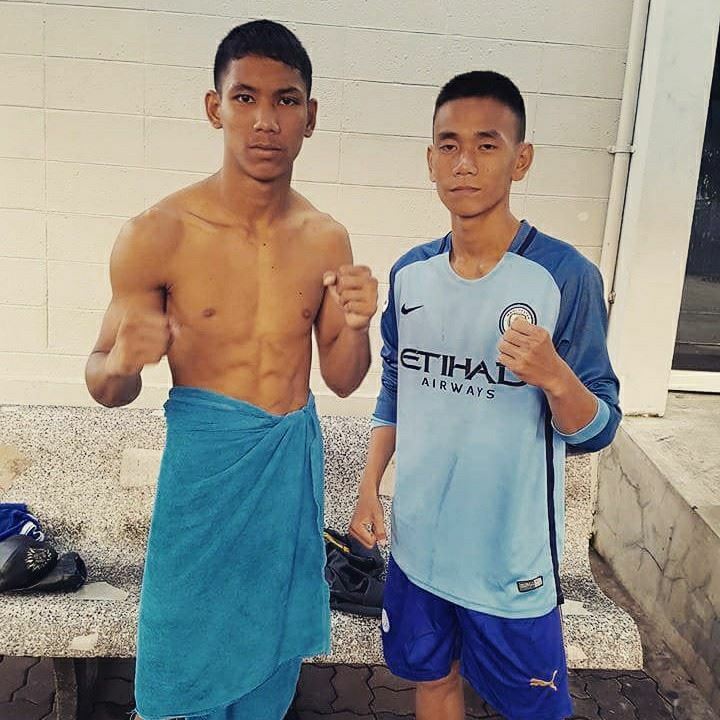 Training partners Mahamongkol and Denmuangpai put in the necessary hours of hard graft at the gym and trained relentlessly in the build up to their matches. 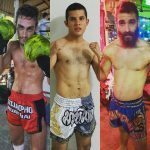 Our fighters were running 14 kilometres a day, smashing seven rounds on the pads at every session with Charnchai trainers Ae and Moohin, clinching for 40 minutes morning and afternoon and working on boxing technique with our resident boxing expert, trainer Tree in preparation for their most important fights to date. Mahamongkol vs Phetruangrit Sit.Pandaeng was the second match on the fight card. It was a closely fought match between our Southpaw fighter and his more experienced opponent with points being scored in equal measure in the first three rounds. 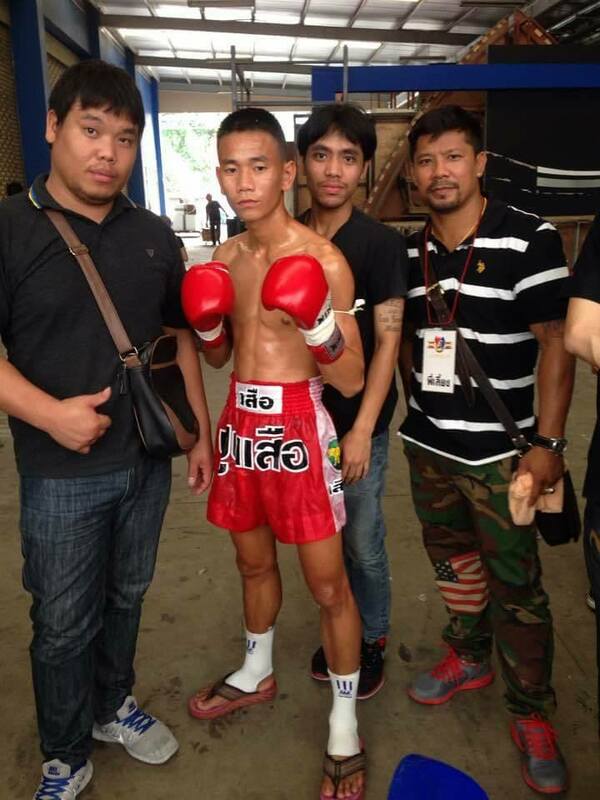 The fight went five full rounds with Mahamongkol scoring highly in the fourth round to win overall by a very close margin. Denmuangpai vs Yodsanchurhng Sagaiwech. Charnchai fighter Denmuangpai went forward using his sharp knees and power in the clinch from the outset and maintained the pace and control in every round. His attacking, forward fighting style scored highly with the judges and Denmuangpai was awarded the win by decision after five full rounds. It is a great honor for two fighters from Charnchai Muay Thai to have made it on to the fight card for the first show following the 30 day mourning period and Bee and his team is incredibly proud of our fighters’ performances in the ring and the levels of maturity and dedication they demonstrated in the weeks leading up to the fights. 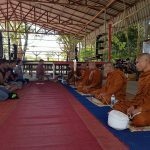 Channel 7 Muay Thai is broadcast live on TV from 14:15, the promotion is hugely popular with lots of Thais who gather round to watch the action and gamble on the fights every Sunday without fail. Having impressed the promoters at Channel 7, our rising muay thai stars Mahamongkol and Denmuangpai will be fighting on high level promotions in Bangkok more frequently. Mahamongkol’s next match in Chiang Mai on Sunday 18th December 2016 will also be shown live on Thai TV, Now TV (channel 26). Denmuangpai will be fighting next at Lumpinee Stadium in Bangkok on New Year’s Eve, 31st December 2016.